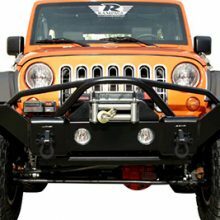 Rampage makes a line of affordable bumpers (both front and back) for your Jeep Wrangler JK. 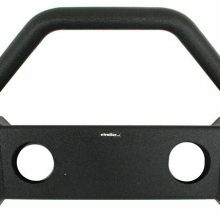 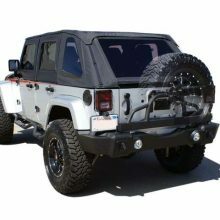 Rampage is known as a low cost option for Jeep accessories, giving good quality at about the cheapest possible prices. 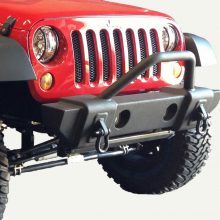 If you’re in the market for a bumper that won’t break the bank Rampage is a great choice. 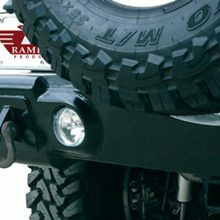 The Rampage bumpers are perfectly acceptable. 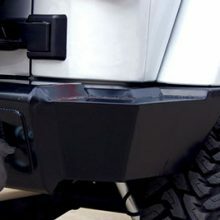 While they aren’t the quality of some of the high end manufacturers, you can replace these bumpers every 5 years and still save a ton of money. 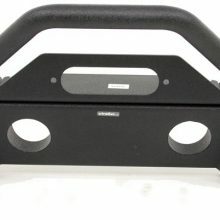 I’m a fan of these bumpers, as they tend be be small an unobtrusive. 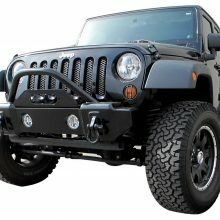 They protect you from head on problems, but stay out of the way of your tires. 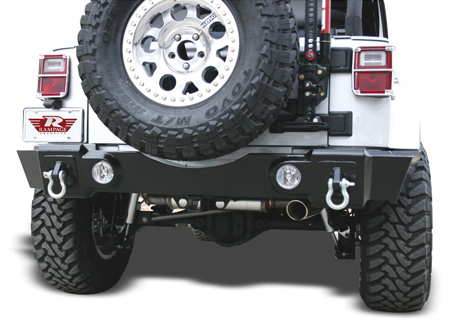 It doesn’t get much easier than installing new bumpers. 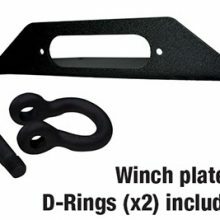 Just a couple of bolts and the old one comes off, then you bolt up the new one. 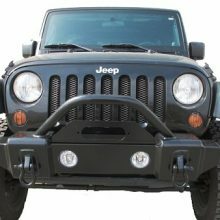 This is the flagship front bumper from Rampage. 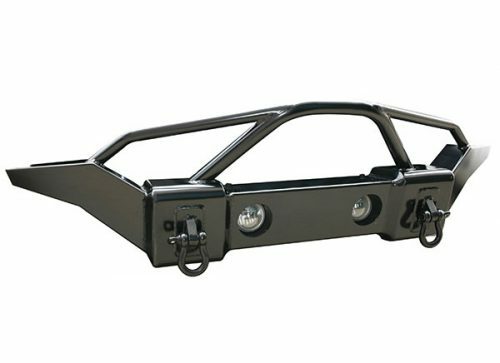 It includes ground level light receptacles (you’ll have to buy the lights separately, but factory lights can be mounted here), as well as shackle mounts to make recovery easy. 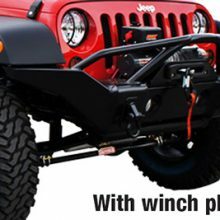 These bumpers include winch plates. 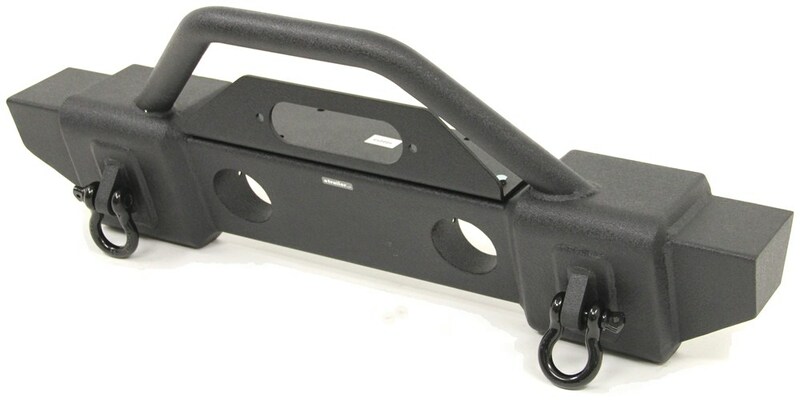 Rampage Recovery Bumpers are crafted from a 3/16″ steel plate to stand up to a lot of stress. 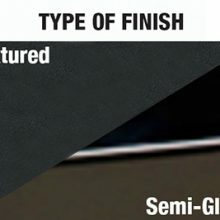 And, they’re made with tapered ends to allow for enhanced tire travel and extreme approach/departure angles. 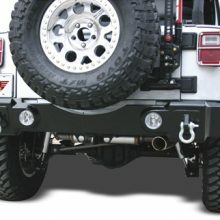 Choose your front recovery bumpers with or without a winch mounting plate and a 2″ X .120 wall tubing center (stinger). 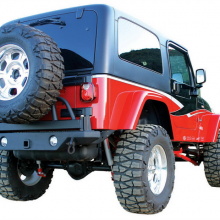 The Rampage Stubby bumper has reduced edges and a narrower design to accommodate larger tires. You’ll get more tire travel, and the ability to clear tighter obstacles versus a full sized bumper. 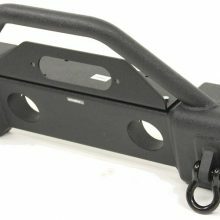 Rampage Recovery Bumpers are crafted from a 3/16″ steel plate to stand up to a lot of stress. 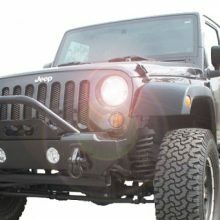 And, they’re made with tapered ends to allow for enhanced tire travel and extreme approach/departure angles. 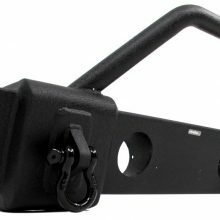 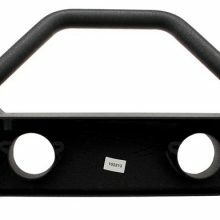 Rear recovery bumpers include welded shackle mounts with clevis 1″ D-rings and come with or without a tire carrier. 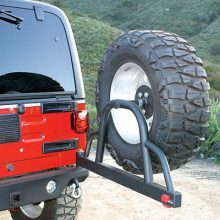 The Rampage rear bumper is available with and without a tire carrier, so take note to which part number you order!